Recently, ABC aired Madoff ,a two-part miniseries about the biggest ever (to date) ponzi scheme that bilked investors out of $65 billion dollars. By now, many are likely familiar with the details of the scheme, so I won’t go into great detail except to recap that he started a hedge fund and always provided great returns, except that he was never investing a penny of money. Instead, he was just putting the money into a giant savings account. As long as there was more money coming in than going out, he could keep it going, but once the financial markets started crashing and investors started redeeming money faster than it was going out, the whole thing fell apart when the bank account (nearly) dried up. The miniseries was pretty entertaining, and I always like Richard Dreyfuss, who was entertaining, but might not have been the best casting decision, as he usually makes his characters likable to a degree, so much that you often forgot to hate Bernie Madoff at various times. After I got done watching the movie, I spent some time thinking about it, and I realized something and it was a little bit eye opening. 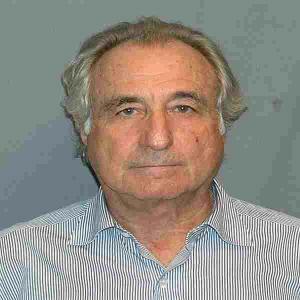 Why Did Bernie Madoff Start His Ponzi Scheme? and dissect the scandal. Why? To steal money? Maybe become rich? To gain fame? So he could be the best at something? To make history? These are all answers that I think probably fit to some degree or another, but there probably isn’t really one answer about why he started. In fact, the movie didn’t spend a lot of time on that part of why. Maybe the producers knew that there wasn’t one single a-ha moment or reason that provide a basis for why he would start the scheme. It seemed, instead, that it just sort of started as a combination of reasons and grew into something that he himself didn’t know it was growing into. See, they why of why he started wasn’t so important as the true question. This is the true question and when you really look at the movie, it really spends most of the time telling the story hitting on this question of why. Now, this question of why was answered pretty distinctly. So why did Bernie Madoff continue once he got started? The answer: Because he didn’t see a way to stop. So How Does That Make Us Like Bernie Madoff? Bernie Madoff’s story was hopefully one that we’ll never hear again. So, when I say that I think a lot of us have a little Madoff in us, I don’t think there are people angling to start a ponzi scheme or rip people out of billions of dollars. That’s not how we’re like Madoff. See, often times once we start doing something, even if it’s not bad at first, it doesn’t seem like it’s a big deal. We keep doing it and it’s still not a big deal. By now it’s a bit of a habit, but we keep doing it because we’re used to doing it. At a certain point, we might start to get some bad feelings, but things are as we’re used to and we really don’t know how to stop. Eventually, we might see just how fast the train is moving and how the tracks are ending soon, but do we really know how to stop? Wow, that’s a lot for one paragraph…but that’s often how things happen. So, what are some of the things that might fall under the same umbrella. Debt – You’ve seen it before. In fact, you might have lived it. You open one credit card, and a couple of months of higher than normal expenses and you suddenly have a balance. You have every intention of paying it off but the hits just don’t come. Fast forward a few years and suddenly you’ve racked up more debt than you could have ever once imagined. Smoking – Does anybody ever start smoking thinking that they want to get addicted to cigarettes? Not likely. Most people probably start with the occasional one and for reasons that are far different than having the desire to harm our bodies, yet isn’t it often how it ends up? Drugs / Alcohol – Same deal as smoking. What’s a little touch here and there? That’s how it starts, but it’s often not how it turns out. And that’s just the examples I thought of in the first 30 seconds of outlining this post. Unfortunately, I don’t think Madoff had unique behavioral characteristics that led him to do what he did. I think that his ability to latch on and multiple the negativety far exceeds what most human beings are capable of, and his ability to impact people was far greater than the influence that most of us have on others. So, that’s the good news, in that these habits when seen in most people, aren’t going to negatively impact thousands, if not millions of people. However, they can impact at least one person. You. But, there’s hope. You can be less like Bernie Madoff. See, Madoff did his bad thing and had it carry on for years and years and years. Decades. Most of his life. And he got way in over his head really fast. We don’t have to. Recognize – Do you have any things in your life that are out of control or might get there? If you don’t, that’s awesome! But be honest here. Be Honest With Yourself – How far along are you? Maybe you’re just on your first credit card. If that’s the case, don’t be ashamed to the point where you go after that second one, because each one after that will only get easier. Be honest now and get in front of it. Ask for help – People in your life can help you. You have to ask and talk and be honest. If someone isn’t able to help you personally, there are professionals. Believe me, there’s help for any and every situation these days. But it won’t find you. Assess your triggers – If you do get in front of any bad habits, then good for you. Celebrate! Treat yourself. Spoil yourself, in fact! But, make sure you don’t head down that same path a second time. Know what got you there so you can go a different direction. Bernie Madoff was a terrible man who did terrible things that led to terrible outcomes for himself, his family, and countless people who lost everything. His name will forever be vilified. He didn’t have to have his story end that way. I know that a lot of what ABC put out there was likely modified for entertainment purposes, but it’s clear that one thing they likely didn’t have to embellish is that he knew he things were getting more and more out of control, and that he knew that one way or another, it wouldn’t end well. While we all may have a little bit of something in our lives that can lead us down a wrong path and get us to where things are or seem out of control, the good news is that we can make it right. For ourselves and those around us, we can make it right. Readers, did you watch the Bernie Madoff inspired movie? What do you think of my analogy? Do you think that he could have stopped before he was a lot less in over his head? Should You Save Money Or Pay Off Debt First? I get the sense that his moral compass was more relative than say, yours or mine. We can objectively say that manipulating people and taking their money for your own profit, at risk of great harm to them (is it really even risk if the harm is certain? ), is wrong. And there are always people like that. Cousin’s son was roundly scolded: you know, this is both morally wrong and legally wrong! What on earth made you even consider it for a second?? I wish I knew that Cousin’s son did the right thing and refused, but I didn’t hear the rest of the story beyond the fact that it was clear the person he was dating failed to see what was wrong at all about the scheme. You get enough passes on behavior like that and I suppose you get a Bernie who doesn’t think anything he does is wrong while he’s doing it. I think with many people, it starts off so small that you can’t see it possibly turning into something truly overwhelming…until it’s truly overwhelming. The whole ‘slippery slope’ concept. Inertia. That’ what it was. Plus, money is addictive and Madoff probably thought he could get away with it (for a while) and then inertia kicked it. I like how to compared debt to alcohol and smoking. The analogies ring true because we fall into all these habits in the same way and face the same ‘withdrawal symptoms’ when we try to stop the habit. Very true, money is addicting and it’s been demonstrated that there’s never ‘enough’ for many people.